I was born in Fairbanks, Alaska and I’ve lived in the Pacific Northwest my whole life. 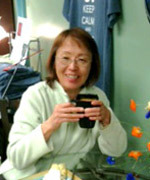 In 2008, I attended the West Coast College of Massage Therapy in Vancouver, British Columbia. I graduated in 2011 with my 3000 hour certification and became a Registered Massage Therapist in Canada. In 2012, I moved back to Alaska. 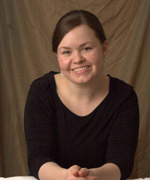 I am a Licensed Massage Therapist in the state of Alaska and nationally certified through the AMTA. I was born in Tokyo, Japan. I have lived in Alaska since 1988 and I started working at Ridgeview in 2011. I graduated from the School of Integrating Shiatsu Alaska in 2001. I also do DoZen Shiatsu training in Japan. I have also trained in Shaolin Qigong and have received the certificate in China. QoZen Shiatsu is painless, feel good, and is more comfortable than other oriental techniques. I have recently received the certification of DoZen Shiatsu from my Master Nagai Mikito in Japan for 10 years ongoing training with him. I combine integrated massage techniques with DoZen Shiatsu or acupressure. I was born and raised in Bettles, AK until I was 14. My family then moved to WA state, where I went to high school. I attended massage school in Seattle, where I graduated from the Brian Utting School of Massage in August 2007. I have over 1000 hours in massage education which includes modalities in Deep Tissue Massage, Swedish, Injury Treatment, and Neuromuscular Technique. I am nationally certified through NCBTMB. I have continued my massage education which includes training in Prenatal Massage and Orthopedic Massage. 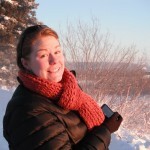 I returned to Alaska in 2008, and have been enjoyingpracticing massage in Fairbanks since. I was born and raised in the Boulder, Colorado area and attended Boulder College of Massage Therapy right after high school. I graduated with a certificate in massage therapy from BCMT in September of 2011 with 850+ hours of training in hands on modalities, kinesthetic anatomy, and professional development. I have been practicing massage therapy since January of 2012 when I moved to Delta Junction, AK and started working in a chiropractic office. I’ve been practicing for over 5 years with different chiropractors across the interior of Alaska as well as a physical therapist in Delta Junction. 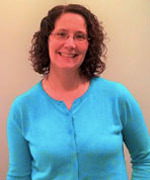 I specialize in treatment oriented techniques, including deep tissue, trigger point therapy, myofascial release, orthopedic, and sports massage. I am licensed through the state of Alaska and have taken continuing education courses looking at myofascial release, fibromyalgia, and PTSD. I try my best to tailor each massage to each individual client and I enjoy the ability to help people understand their bodies more and heal from past incidents. I’m the newest member to the Ridgeview Chiropractic team and am thrilled to be working alongside some wonderful practitioners and front desk staff members.